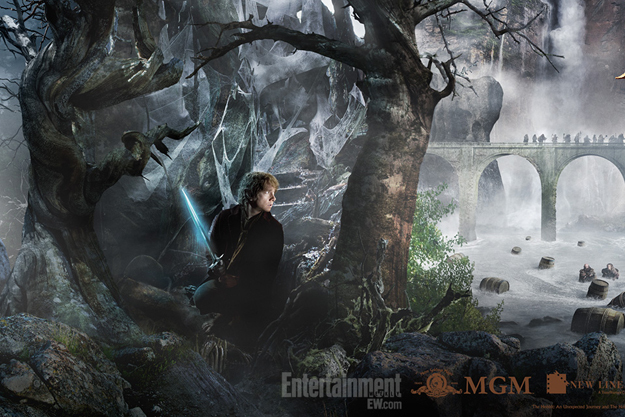 Hobbit to be featured in Hall H at Comic Con? If you’re in the San Diego area for Comic Con this year and you have a great affinity for Middle Earth, you might want to mark your calendars down for Saturday, July 20. 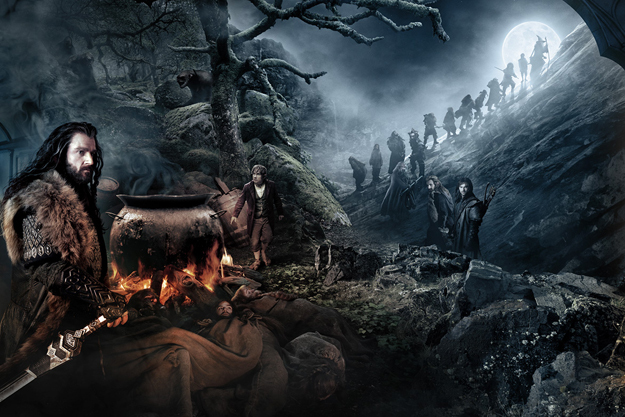 As sdccblog.com reports, The Hobbit is expected to be featured in the Warner Bros. Pictures panel. That’s right – a Warner Bros. Pictures rep has just confirmed for us that its Hall H panel will again be on the Saturday of Comic-Con this year. A key thing to watch out for is the crowd’s reaction to the frames-per-second ratio. Last year, the reactions were mixed to the 48 frames per second presentation of The Hobbit, but viewers may have grown more used to it now. Also, you have to figure Peter Jackson and co. will hone their technique, making the visuals more palatable for dissenting types. The response should be very exciting! 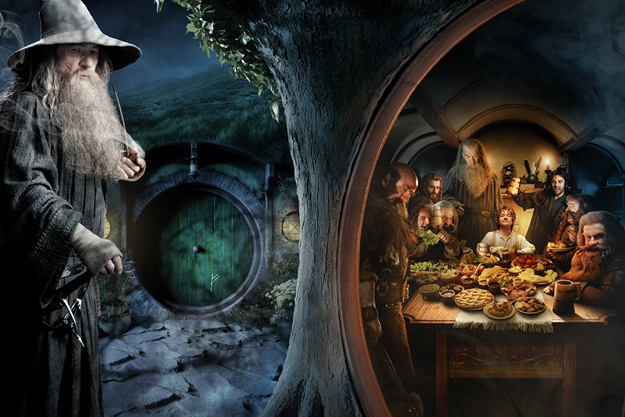 In anticipation of The Hobbit release, Warner Bros. has assembled this INCREDIBLE site feature with Middle Earth recipes. See here! 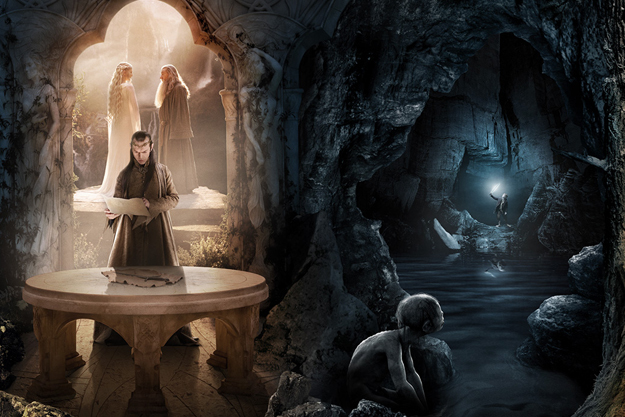 Warner Bros. has released a new site specializing in the tastes of Middle-earth. Featuring such categories as sweets & treats, main courses and breakfast foods, it also provides a way for users to submit recipes. 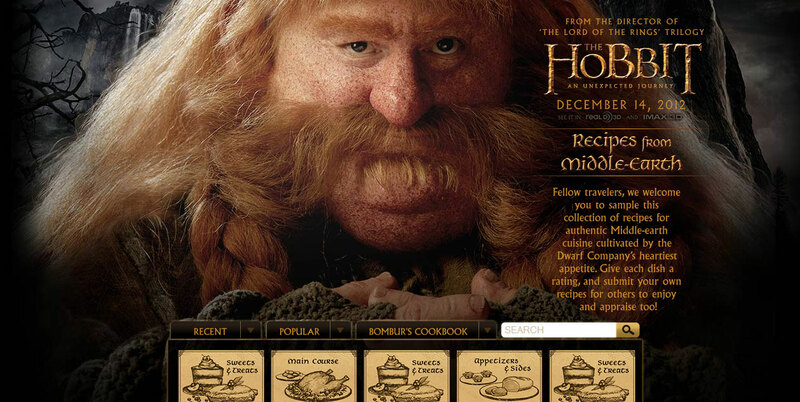 Steven Hunter’s Bombur is featured as the face of Middle-earth culinary delights and his cookbook is a linked tab as well. That may even be a clue into the character but more than that, it is a sign that WB wants to have a little fun with its December tent-pole movie. Fellow travelers, we welcome you to sample this collection of recipes for authentic Middle-earth cuisine cultivated by the Dwarf Company’s heartiest appetite. Give each dish a rating, and submit your own recipes for others to enjoy and appraise too! Whether or not you think this is about Warner Bros. or Peter Jackson trying to milk the film(s) for all that they’re worth doesn’t matter. Peter Jackson has confirmed that The Hobbit will no longer be split into two films, but will instead be split into three! If you’re wondering why this one book can be split into three while the LOTR trilogy was, in fact, a trilogy of films, well, you’ll just have to read the actual book. There is definitely enough source material in The Hobbit to warrant it being three movies, especially on the grand scale that Jackson has been known to film. 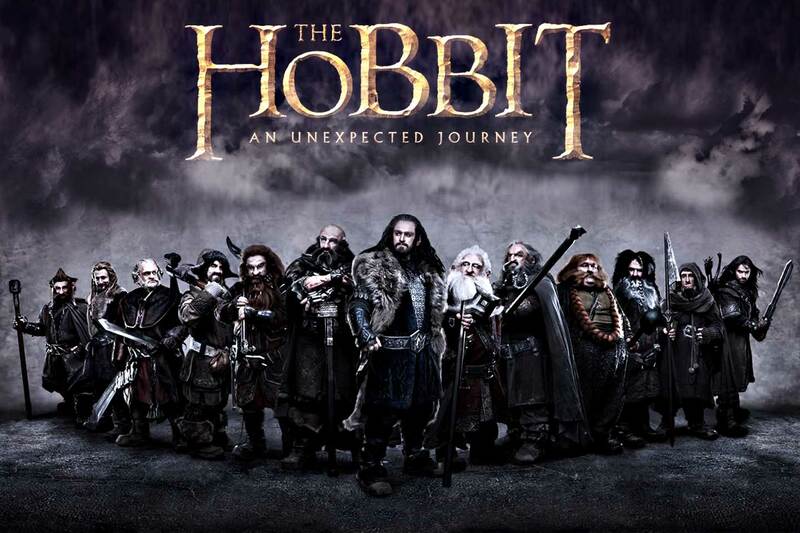 The first film in the trilogy, “The Hobbit: An Unexpected Journey,” will be released December 14, 2012, with the second film releasing on December 13, 2013, and the third film slated for summer 2014. All three films will be released in 3D and 2D in select theatres and IMAX. Under Jackson’s direction, all three movies are being shot in digital 3D using the latest camera and stereo technology. Additional filming, as with principal photography, is taking place at Stone Street Studios, Wellington, and on location around New Zealand. So, there you have it. Three films to be released within 2 1/2 years of each other. What do you think? Are you happy about the split so that the story can be told in more detail? Or are you bummed that you have to wait impatiently for 2014 for the grand finale? I myself probably feel a little bit of both, but more so excitement to see how it all comes together. It will definitely be an exciting three years to come! 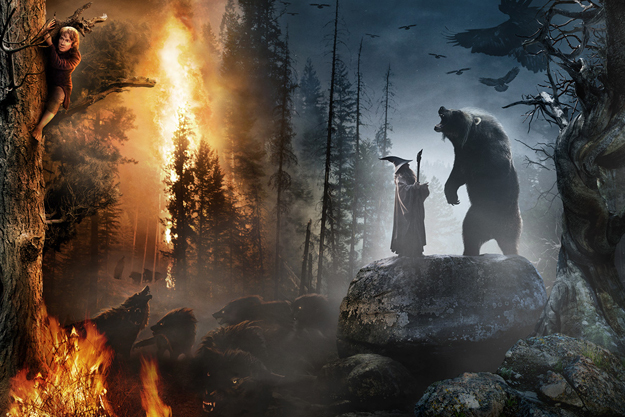 The Hobbit will be coming to San Diego for the International Comic-Con! There will be a Warner Bros panel that will most definitely include The Hobbit. As is usually the case, however, they have not announced yet (and may not do so at all) who is going to appear on the panel. Warner Bros and Legendary Entertainment have announced plans to bring three of their highly anticipated projects to San Diego Comic-Con International’s Hall H on Saturday, July 14th. Zack Snyder’s Man of Steel, Peter Jackson’s The Hobbit: An Unexpected Journey and Guillermo del Toro’s Pacific Rim will make up that panel that is expected to occupy a three to four hour block on Saturday morning, July 14th. There’s no word yet which cast or crew members will be in attendance. It’s no surprise that The Hobbit will be a major part of Comic-Con this year, and it will probably make a reappearance again next year, considering that Peter Jackson does love us at the Con. Updates and pictures of the panel will be posted that weekend, so follow us via Twitter for when that happens. The panel is sure to have a big, big crowd. 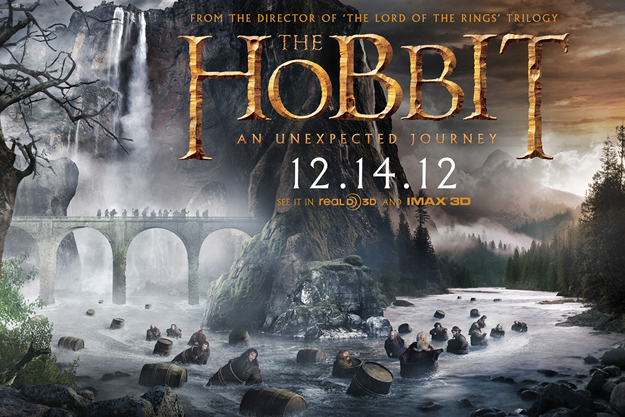 The Hobbit: An Unexpected Journey will be released in theaters on December 14, 2012. 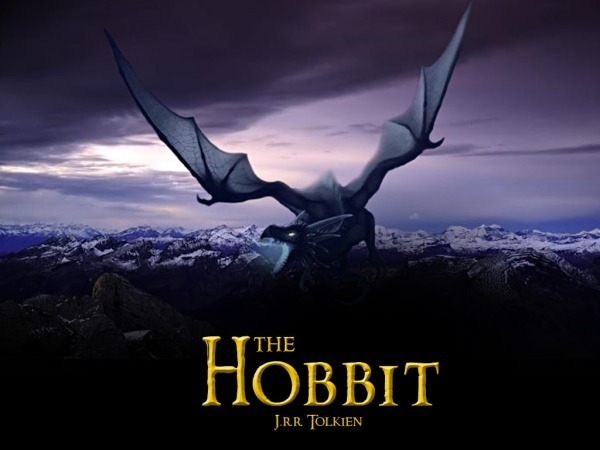 The second film, titled The Hobbit: There and Back Again, is slated for release the following year on December 13, 2013. 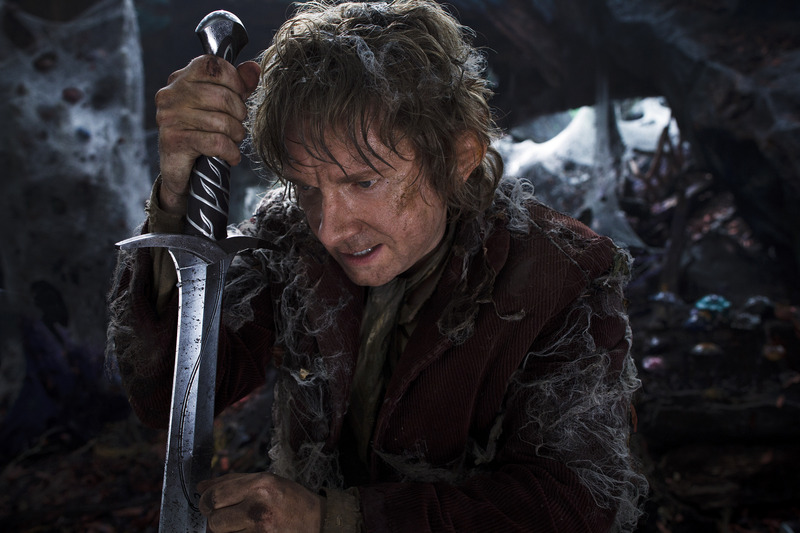 Both movies are directed by Peter Jackson (Lord of the Rings Trilogy) and star Martin Freeman as Bilbo Baggins, Ian McKellen as Gandalf, Cate Blanchett as Galadriel, Andy Serkis as Gollum, Elijah Wood as Frodo, plus Ian Holm, Christopher Lee, Hugo Weaving, Evangeline Lilly, Richard Armitage, Orlando Bloom, Stephen Hunter, Benedict Cumberbatch, Bret McKenzie, James Nesbitt, Luke Evans and others.